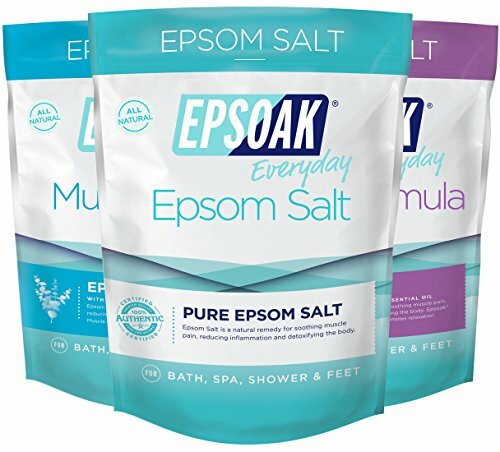 BUNDLE OF 3 EPSOAK SALTS (2LB RESEALABLE BAG OF EACH): Sleep Formula Epsom Salts, Muscle Soak Epsom Salt, Original Unscented Epsoak Epsom Salt. 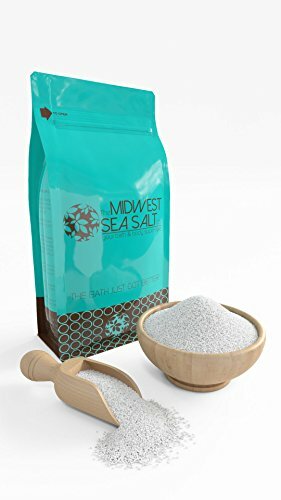 Grain: Medium Color: Natural white Scent: Lavender, Eucalyptus & Peppermint Blend, and Unscented What are some of the other general benefits of bathing with bath salts? The minerals found in sea salt/epsom salt are absorbed through the skin which are essential to the bodies' functions. Bath salts flush out harmful toxins from the body. They also exfoliate the skin, leaving the skin smooth and supple while helping to heal cuts, burns, wounds, and insect bites. They're also a good stress reliever! Cruelty Free * Paraben Free * Phthalate Free * SLS Free Safe for Jacuzzis and Spas Our philosophy is simple. We want you to remember how good it feels to take a bath. Our products harmonize the therapeutic power of bathing, aromatherapy and natural sea salts/ epsom salt to transform your bath into a healing ritual for your body and mind. Our Mediterranean Sea Salts are solar evaporated and harvested from the pristine waters of the Mediterranean Sea. They are produced using the ancient method of solar evaporation in a region that is free of pollution and has high evaporation rates. 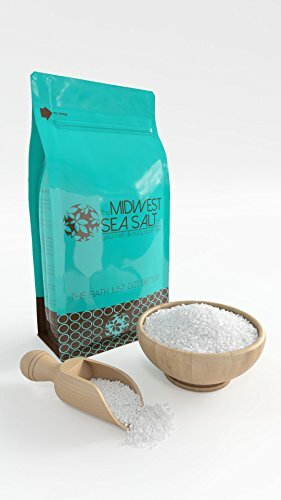 Mediterranean Sea Salts are one of the purest salts in the world. Mediterranean Sea Salts give you a very therapeutic soak, while naturally detoxifying the body of its impurities. Soaking in this salt helps balance moisture in the skin and body, cleans pores, soothes skin and relaxes muscles. 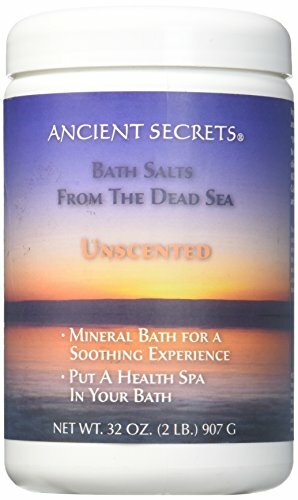 Ancient Secrets Aromatherapy Dead Sea Mineral Baths Unscented. 2 lbs. 908 gms. 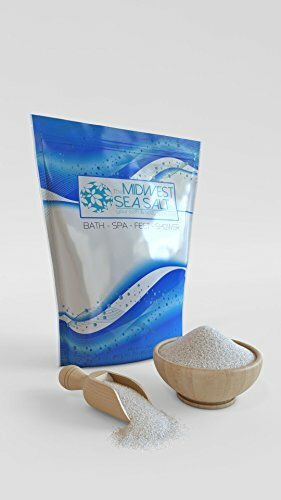 If your health care provider is prescribing dead sea bath salts for a specific condition, be sure to follow their directions for use. They may want higher concentrations in specific situations. DETOX+CLEANSE packaged in our 2 lb resealable bag. Epsoak Epsom Salt (magnesium sulfate) is the purest Epsom Salt available. Epsoak dissolves easily in warm water to help soothe muscle pain, relieve aching feet, reduce inflammation and detoxify the skin and body. Epsoak Detox+Cleanse blend supports the elimination of toxins from your skin and body and leaves you feeling rejuvenated. 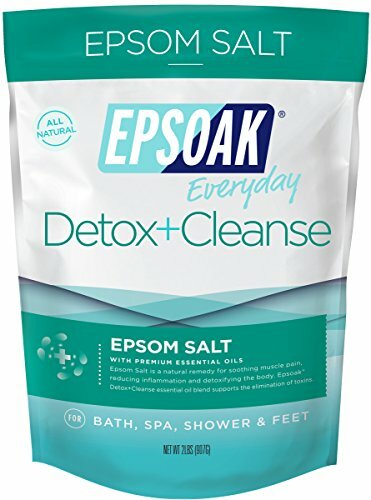 Relax, refresh and enjoy the benefits of Epsoak Detox+Cleanse in the bath, spa, shower or as a foot soak. Grain: Medium Color: Natural white Scent: Detox+Cleanse Essential Oil Blend. Cruelty Free * Paraben Free * Phthalate Free * SLS Free Safe for Jacuzzis & Spas Our philosophy is simple. We want you to remember how good it feels to take a bath. Our products harmonize the therapeutic power of bathing, aromatherapy and Epsom Salt to transform your bath into a healing ritual for your body and mind.